TAG Heuer watches originated in St-Imier in Switzerland in 1860. The founder of the company was called Edouard Heuer and he opened his first workshop in the Jura region at the age of 20. 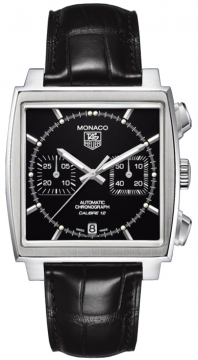 The company was not known as TAG Heuer at this stage but by the name Uhrenmanufaktur Heuer AG. He continued to develop the company until his death in 1892 by which point his son Jules-Edourd was part of the company. Throughout the decades many members of the Heuer family have been involved in the TAG Heuer Company in one ways or another. Near the end of the 19th century TAG Heuer made many innovations in watch making including the oscillating pinion and one of the first water proof pocket watches and earned themselves various awards. The start of the 20th century saw a huge boom for TAG Heuer. They started to distribute their products in America as well as creating their first dashboard chronograph that proved popular in planes and cars of the time. 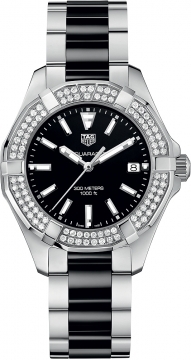 TAG Heuer also started to produce their first women’s wristwatches as well as their first wrist chronographs. As the 20th century progressed TAG Heuer went from strength to strength in terms of popularity and innovation. In 1916 they invented the Mikograph which was precise to 1/100th of a second. 50 years later in 1966 they produced the Mikrometer which was accurate to 1/1000th of a second. These precision instruments made TAG Heuer the natural choice for timing many sporting events including the 1920, 1924, and 1928 Olympic Games. Many notable figures have worn TAG Heuer watches throughout the 20th century including, royalty in Europe, American presidents, John Glenn on his space mission in 1962, as well as actor Steve mc Queen who became an official ambassador for the TAG Heuer brand. The second half of the 20th century was also a time when TAG Heuer expanded in many ways. The launch of the Carrera model in 1963 was regarded as a major milestone for TAG Heuer as well as the launch of the TAG Heuer Formula 1 in 1986. It was in 1985 when TAG Group (holdings) S.A. bought Heuer and became the now famous TAG Heuer we know. The strong association with sport continued for the brand when they were chosen as the official timekeeper of the Formula 1 championship in 1992. TAG Heuer ad campaigns were massive successes for the brand including the “Success – it’s a mind game" campaign and the “what are you made of" campaign which teamed up with major sporting athletes to reinforce the TAG Heuer sport association. In the 21st century TAG Heuer has tapped into new markets releasing eyewear and fashion accessories bearing the TAG Heuer name. To commemorate 150 years of innovation in watch making the TAG Heuer 360 museum was opened which was recognised as an architectural and technological marvel. 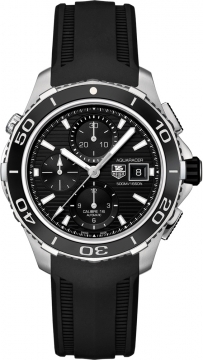 TAG Heuer watches are now part of the LVMH Group.